**This post was sponsored by Minted. However, the opinions and thoughts expressed within this post are 100% my own. Good morning! When I think about the month of November, I usually associate it with being thankful. (Although gratitude should be expressed all year long), I wanted to take an extra minute to say how THANKFUL I am that I get to be apart of The Fab Furniture Flippin' Contest. It has been so FUN to meet new TALENTED friends and to see all of your amazing furniture makeovers each and every month! Stacy from Anastasia Vintage and Colleen from 58 Water Street are our featured hosts this month and they've created a few AMAZING inspirational furniture makeovers using fabric from Minted. Hop on over to see their flips! November 2015 Theme: "Take A Seat"
I have a quick furniture flip of my own to share. Introducing bright colors and bold patterns is a great way to freshen up a space without a lot of effort. 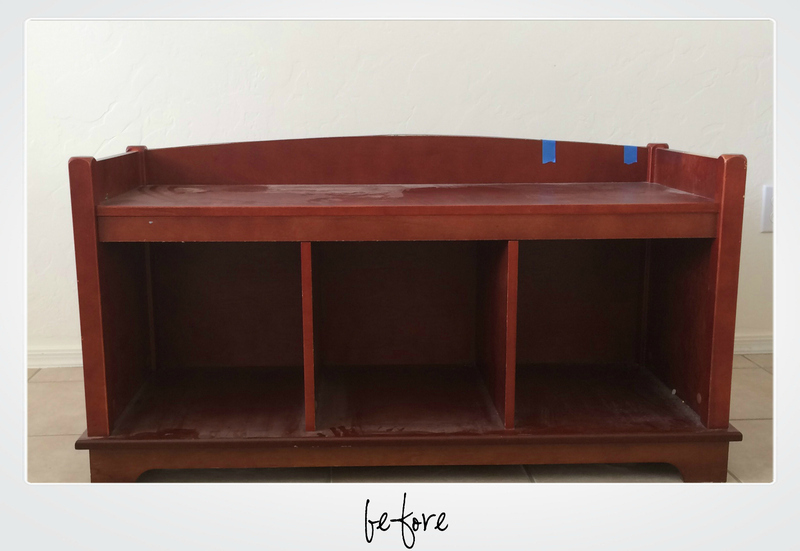 Reupholstering a piece of furniture can be for both the novice and the beginner! 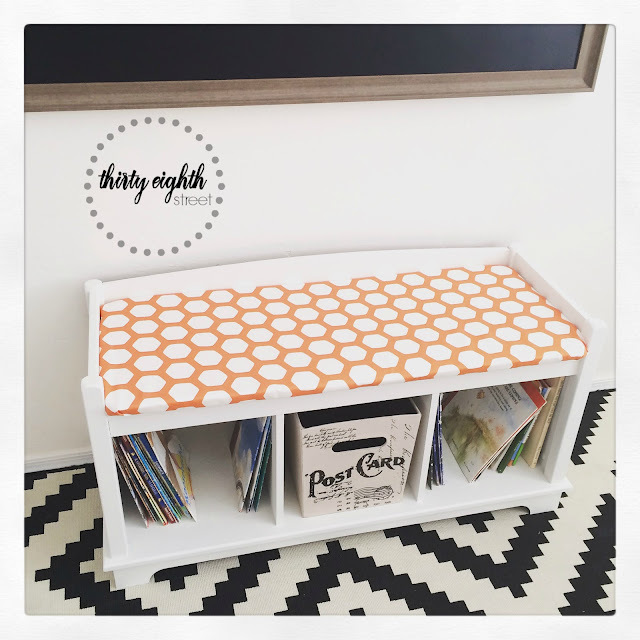 What can you do with a little paint, foam, Minted fabric and a staple gun? Read on! 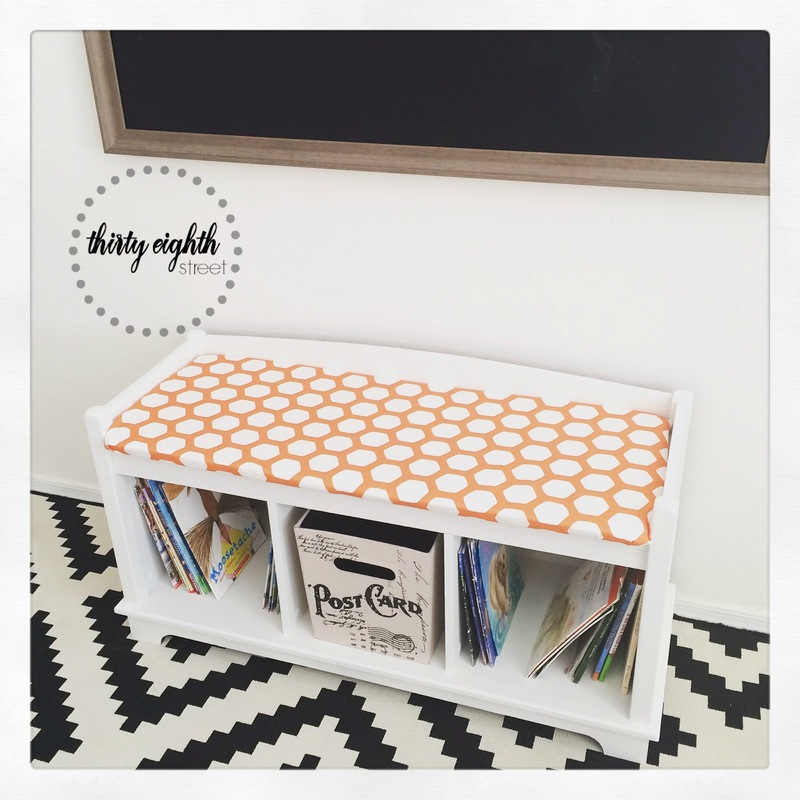 I started with this cute little Kids Bench. It had a dark cherry finish, some peeling veneer, great storage capacity and one hard seat! The original finish wasn't our style and the comfort factor was a zero! Who wants to read on a hard bench? Not I. :) The old veneer was removed, new veneer was added and the bench was painted it in a warm white color. Next, we addressed that lack of comfort. 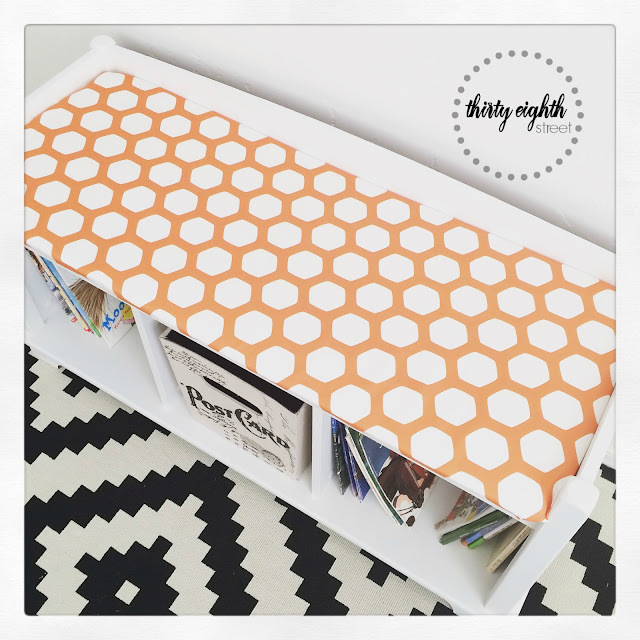 ;) We cut down a 1/4 inch board to the size of the bench, added some foam and used a staple gun to adhere this lovely Hexipattern Fabric in Orange to it. 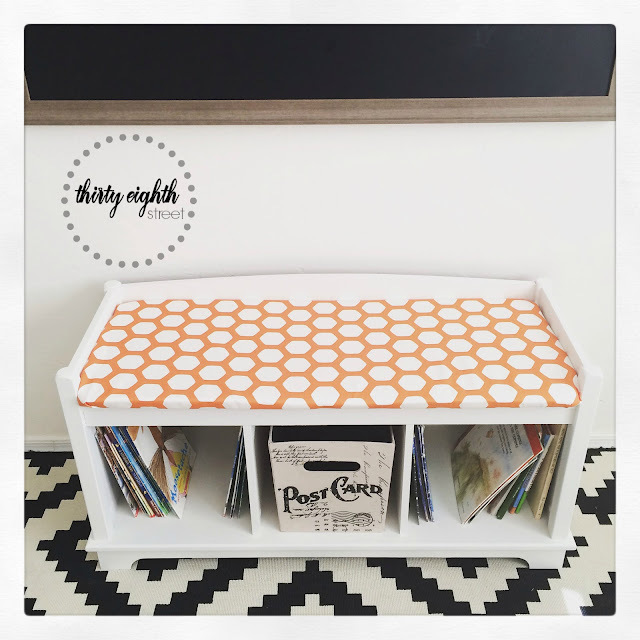 Put it altogether and we've got a cute, functional and comfy place for the kids to plunk down with their favorite book. 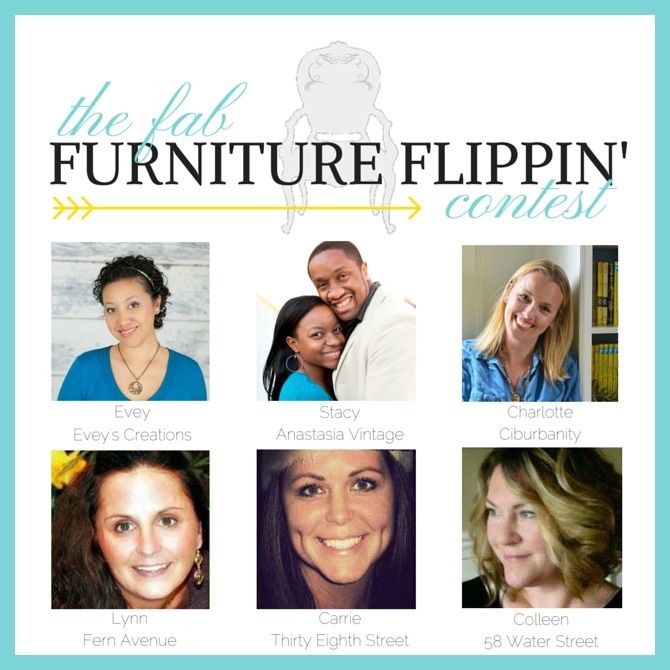 Our November 2015, "Take A Seat" Fab Furniture Flippin' Contest begins now and we can't wait to see the submissions pour in... Good luck! I adore that orange hex pattern - great choice! It is so perfect against your black & white rug. The bench definitely looks more comfy now! So very funky and up to date. You really transformed it. The white makes it contemporary and the orange packs a punch ! Just love it. EEEkkkk Carrie I love this pattern! It turned out so wonderful!! Thank you! It was a fun pattern to work with! It turned out beautiful! I need one of those at my house! Thanks for sharing at Merry Monday. Thank you, Shirley! Always fun to stop by and see what everyone is "up to" at your party! 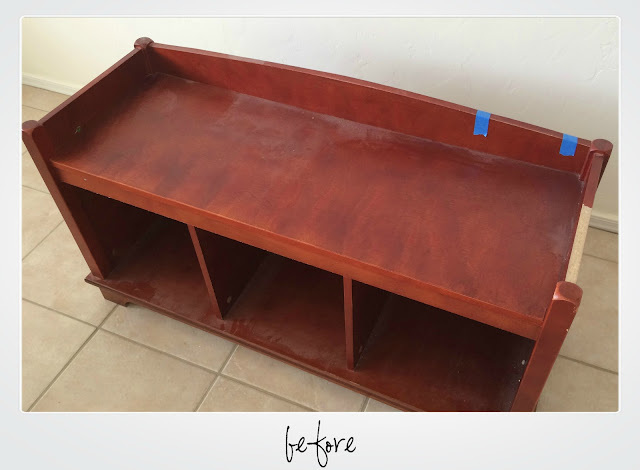 What a great makeover! SO much fresher!! I also love how it looks popping against that graphic rug! Perfection. Love this flip! It's an incredible change. So light and fun. Any kid would love to curl up and enjoy a book or sit and imagine and dream! 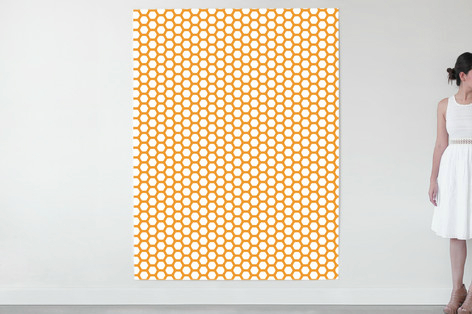 I love a pop of orange here and there, is there any color that is more fun? Seriously? And I am in love with the rug. I love that even without your watermark I know when a piece is yours. Brilliant branding! Eye Catching brilliance!!! I'm drawn to orange too! Thanks so much, Nikki! Good Evening!! Just popping in to let you know your post has been picked as a feature at the Welcome Home Wednesday Link Party! Stop by tomorrow morning to see your feature and link up! Don't forget to grab your "Featured Button" too! Thanks so much for sharing our work, Lisa! 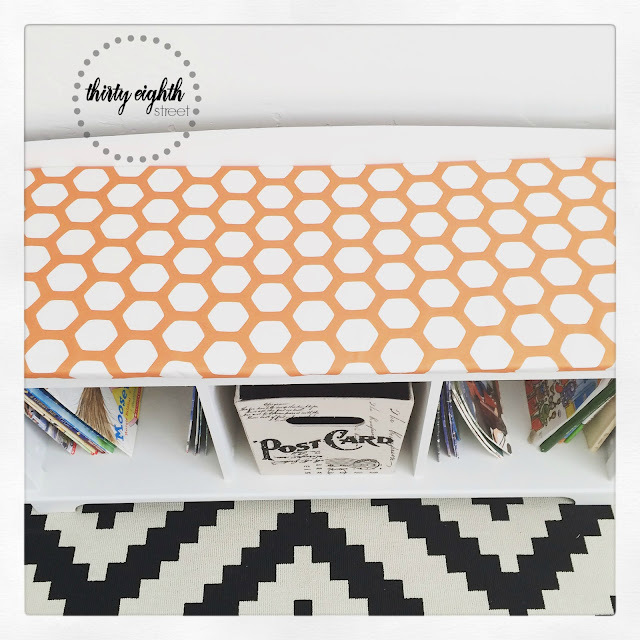 What a fun piece you created! Doesn't even look like the same bench. It would also be awesome in a mud room for shoes, boots, etc. Love it!